A reader asked me for more camp themes. At first I thought, “Isn’t 100 enough? That should take a camp through many summers.” Later I decided that even though there are 100 themes, a lot of them might not appeal to some people. 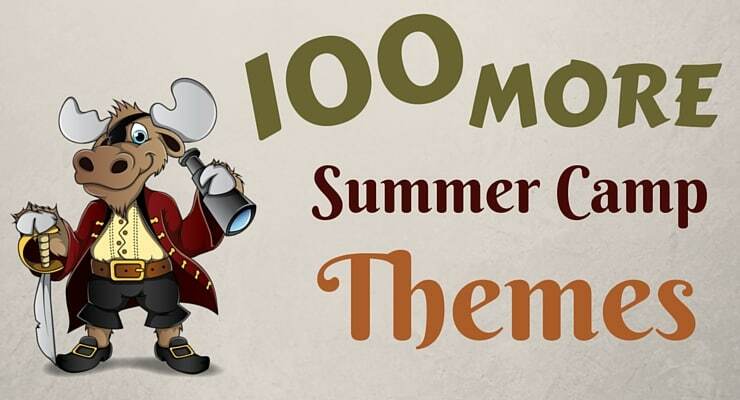 Creating a list of 100 more summer camp themes was surprisingly difficult. While there are plenty of day or meal themes like backwards day or pajama breakfast, I wanted the list to have themes that can be used all week long. Vehicle Adventures – Golf carts to construction equipment, kids love vehicles. Fairies and Gnomes – Like Fairyland but with mischievous Gnomes. Roman Empire – No fights to the death, please. Masters – Who are the masters of your activities? This would be a great theme to have campers focus on one activity and master it. Davinci – Creating, experimenting, painting, codes, etc. are all directions you can go with this theme. Top Shots – Archery, BB Guns, .22s, hatchets, blow darts, sling shots, etc. Who are the camps Top Shots? Randomness – Make sure you add in some random dancing. Highlanders – A kid-friendly version of the Highland Games would be a great event to hold for this theme. 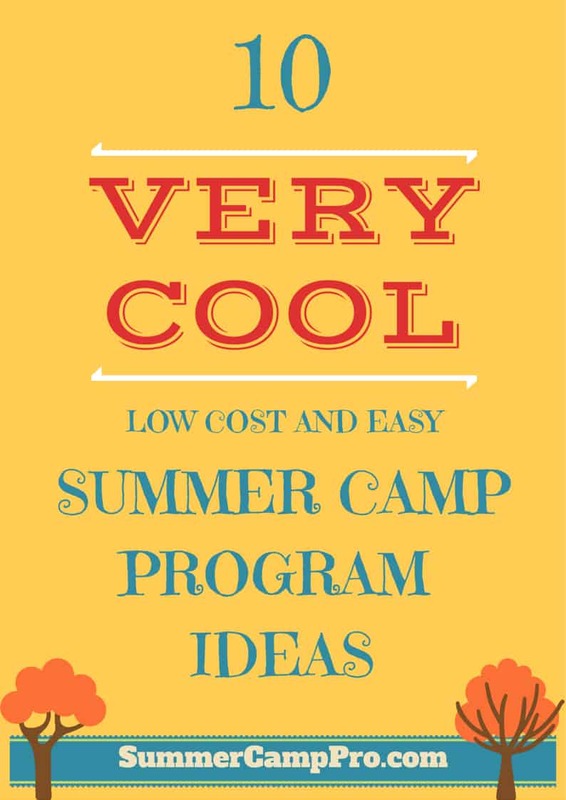 Summer Camp Mash-Up – Mash-up two camp activities into one. Do this with all your activities. Have you ever shot a bow and arrow from a horse or kayak? Camp Throwdown – Staff challenge campers at what they do best. Road Rules – Here’s a travel camp theme where campers compete in teams at various locations. Beyond Camp – Camp filled with off-site excursions. Cloud 9 – Who doesn’t like being pampered? Project Funway – Either you’re in or you’re out. Triple Threat – Acting, singing and dancing – or is it archery, climbing and horseback? Passport to Fun – Campers must get their passports stamped at each activity. Hunters and Gatherers – Full of treasure (hunter) and scavenger (gatherer) hunts. Need more ideas? Check out 100 Pop Culture Themes. 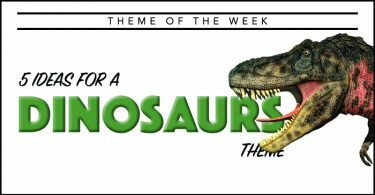 Thanks for the additional theme ideas! I work with young adults with developmental disabilities and am always looking for age-appropriate activities. We’ve used several of your themes in past summers – thank you for making my job easier! Tricia, thank you for the nice comment. 1. Can you have Santa show up in board shorts and a Hawaiian shirt? Maybe he can bring some small gifts. 2. Rent a mobile snow making machine. 3. There are companies out there that will bring an industrial snow making machine and create a small hill where the kids can sled. We used to do this every December for a recreation department I used to work at in Southern California. 4. Have campers bring Santa or elf hats. 5. Have a couple of staff dress as elves and create a story about how they are on a road trip visiting camps since the North Pole is empty at the moment. All the elves and even santa are on vacation. 6. Create some Huge Candy Canes and place them around camp. 7. Find a company that will bring in a mobile ice skating ring. It’s not actually ice. It’s a surface that you can ice skate on, however. 8. Have a winter wonderland dance. 9. Have campers make paper snowflakes. 10. Have camper groups create Christmas skits. Connect with a local charity and “adopt a family” to buy gifts for; ask kids to bring spare change or challenge another camp going on at the same time to contribute to a penny drive so you have funds for purchasing gifts (or make them!). Select some simple holiday gifts (Pinterest!) as daily craft projects. Find out if a local nursery would donate pine seedlings. Have kids plant in a pot and take home for future Christmas decorating. Talk about Christmas Traditions in other countries. Make ornaments for exchanging. I did Christmas in July a couple of summers ago as one of my weekly themes.. We had an actual Christmas Party where the kids exchanged $5.00 gifts. The age groups for the gifts were 5-6, 7-8, 9-10, 11-13. They had a blast! Make “christmas decorations” but decorate a tree outside for the birds. Nesting material, birdseed covered pinecones, etc. The birds don’t care that it’s not cold and it’s fun! Great themes, Jill. Thanks for sharing those. Jill, you can use the search bar or on the home page it is the first post on the Popular Posts section in the sidebar. •	Eggtasic Eggstravaganza (see samples below). •	Media – movies, TV, radio, newspapers. Holy Moly, Mike! That’s awesome! Thanks for sharing. thank you all for the christmas ideas! they are great! Love your list of ideas Curt! Ideas that are not the ‘same old-same old’! 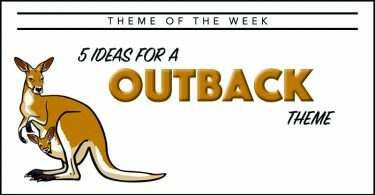 Do you go into more ideas for the themes somewhere? Thanks for getting back to me. You didn’t happen to go to Liberty University did you? I am inspired! Thanks a million – These are great themes that can be expounded upon. I am teaching a music summer camp, and I am looking for ideas. I will have grades k-2 and 3-5 . I will have the students for one week. I was thinking maybe doing a STOMP theme. Just not sure if I will have the activities for the little kiddos and enough stuff for the older kids. I would also like to transform my room for the camp, but I am very limited in the money department. 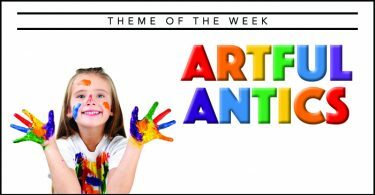 We have weekly themes & daily activities that support the theme throughout the week. 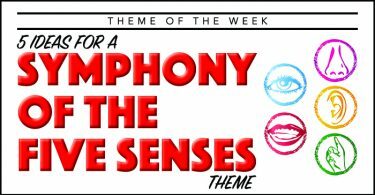 I’m looking for a theme title for the first week of camp and 4th of July week. Any suggestions? A few years ago some of the kids at my After School Program and I created “Hunger Games Dodgeball”. It is similar to fireball, no teams, but there are upright mats spread out around the gym. All “tributes” must start touching a wall. All of the balls are placed in the centre of the gym. If a “tribute” is hit they must sit out on a bench. When there are 3-4 “tributes” left, everyone who is out may re-enter the game by crawling and attempting to tag the remaining players. Last one wins! hello! i was wondering if you could help suggest some themes you have that might go along with “edified”? im organising a school camp and that is one of my school’s motto unfortunately.. unsure if there is anything, but if there is, please let me know and thank you very much!! Eleanor, the first thing that comes to mind are Star Wars Jedis. They are enlightened both morally and intellectually. Look online for the Jedi Code. You could do a theme around Greek philosophers/philosophy and even add in some Greek mythology. Or how about Harry Potter/Hogwarts. When wizards and witches attend Hogwarts their education and experiences are very edifying. You could have a theme of world cultures and how different races have their own ideas of edification. This could be used in a cruise ship theme, an Amazing Race theme, an Around the World in 5 days theme, etc. You could even do edification through history and have a time travel theme. In the movie Bill and Ted’s Excellent Adventure, Bill and Ted are the catalyst of enlightenment for the future. Also their adventures and their “school report” could be considered edifying for both Bill and Ted and the student body. Hope some of this helps. these are all awesome ideas. Im currently the event/ theme day planner of my camp and i was wondering what “Pixar adventure” things i could give to my staff to do. i have a gym staff member, a ropes staff member, an art staff member, a nature staff member and some pool staff. i also have a cooking day and was wondering if anyone could give me some ideas on what to give my staff members, so far im giving my art member some aprons to make. im at a dead end with what foods to make with the children they’ll be from grades K-5. thank you guys so much in advance. We run 4 Kids Camps a year during each school holiday that goes for a week long and we theme it and then decorate and run all our activities,games, ideas, music etc to that theme. Maureen, how popular are camps like this in New Zealand? Hiya! I’m a Girl Guide and am looking for themes to run with for my 24 hour camp and a lot of these seem helpful, though I was wondering if you knew of any outdoorsy themes? The camp doesn’t run for long since we have to sleep and cook, so we only need a theme where we could use four or five activities, really. Thanks! I was wondering what kind of things you would do with a Ninjas vs. Pirates theme? I noticed you had in on there, and I super intrigued by the idea, I’m just not sure what I would do with it! Mercedes, I have never done that theme but I have heard of other camps doing it. So, I am not sure what sort of activities they run for that theme. I am as curious as you are. Maybe someone else will chime in. We made rice krsipie sushi, ninja challenge course, origami ninja stars, ninja head bands, pirate ships, we did a treasure hunt that included challenges through out the hunt related to pirate and ninjas. We did this theme for our last week of camp and for our final dinner the dining hall was decorated half as pirates and half ninjas. Love it. Marci! Thanks for sharing. Pirates and Ninjas…like peanut butter and chocolate…two very different things that just seem to go good together. Those are some fun themes, Lynn. Hope you found some inspiration from my theme lists. I need a fun camp name(that doesn’t give the theme away) for my Girl Guide units recycling themed camp in June.